Estela’s third Superyachts Poker Tournament at Palma Casino was another fun night of Texas Hold ‘Em, with some 40 entrants playing hard until late into the night, for some €2000 in prize money. The winner walked off with over €1000, while another beneficiary was the humanitarian charity, Yacht Aid Global. 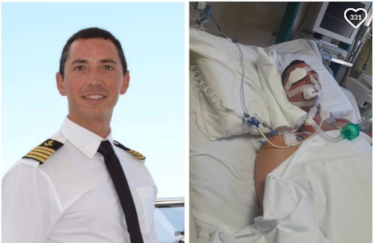 15% of the total prize fund was again donated to this highly effective organisation, though the proceeds were on this occasion re-directed to the local cause of Mallorcan skipper Xisco Prieto, hospitalised in an unprovoked attack in San Remo. Xisco’s family are raising funds for a medical flight home, as his insurance won’t cover the cost of his repatriation. Our thanks go to Capt Tim Forderer of Yacht Aid Global, who promptly offered to donate all charitable proceeds towards Xisco’s repatriation. If you would like to help Xisco’s family bring him home, you can donate via this link. As we go to press, the total raised is still €2,000 short of their €25,000 goal, so any donation will be hugely appreciated. If you would like to help Yacht Aid Global and support its humanitarian initiatives around the globe, you can do so via this link.